Ever need something sweet to munch on while sitting in the car? Ever need something just to tie you over when you are running early to lunch or dinner? 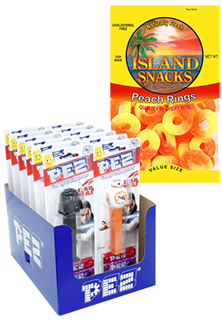 PEZ candy and Island Snacks will surely take care of these needs. We have the lowest prices in the nation~GUARANTEED!